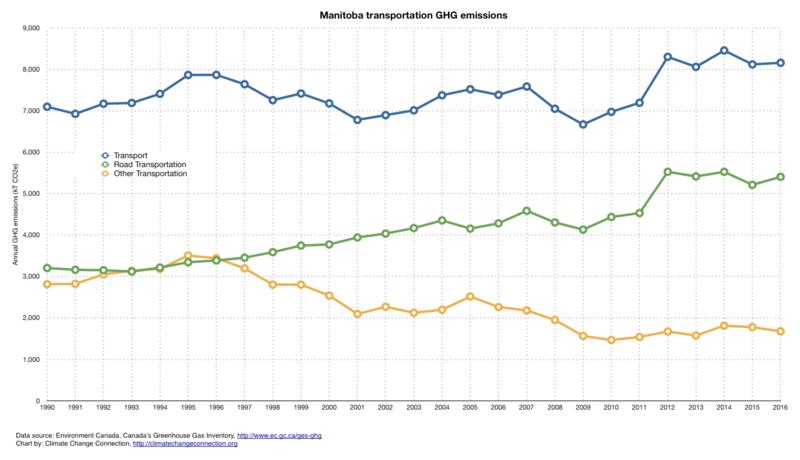 In 2016, transportation accounted for the largest portion (about 40 percent) of Manitoba’s greenhouse gas (GHG) emissions (1). This includes the fuel used as we drive ourselves around and the fuel used to transport goods we buy. It does not include most of our air travel. Only air travel within the province is included in the inventory. 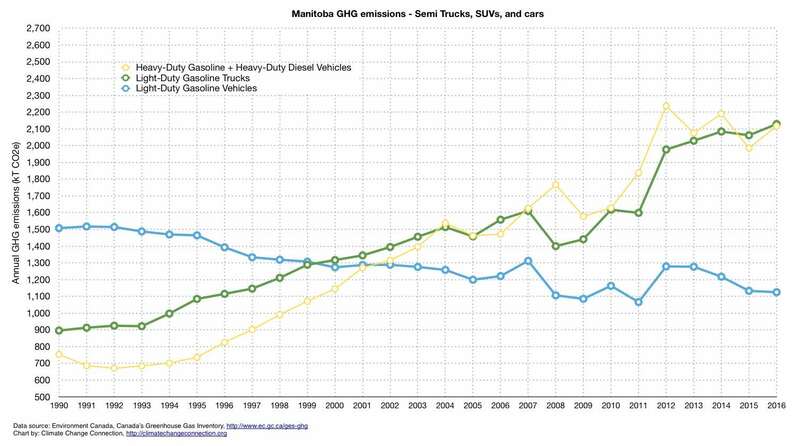 The figures on this page show how Manitoba’s GHG emissions from transportation have changed from 1990 to 2016. 137% increase in van, SUV, & half-ton use (i.e. Light-Duty Gasoline Trucks). This means the emissions from van, SUV, & half-ton vehicles in 2016 were 2⅓ times what they were in 1990 while emissions from cars decreased slightly. Figure 3: From 1990 to 2016 there has been a dramatic increase in the use of semi-trailer trucks (i.e. Heavy-Duty Diesel + Heavy-Duty Gasoline Vehicles) to transport goods. From 1990 to 2016, there has been a 180% increase in heavy-duty (i.e. semi-trailer) trucks. In other words, we are using semi-trailer trucks over 2½ times as much as we were in 1990. 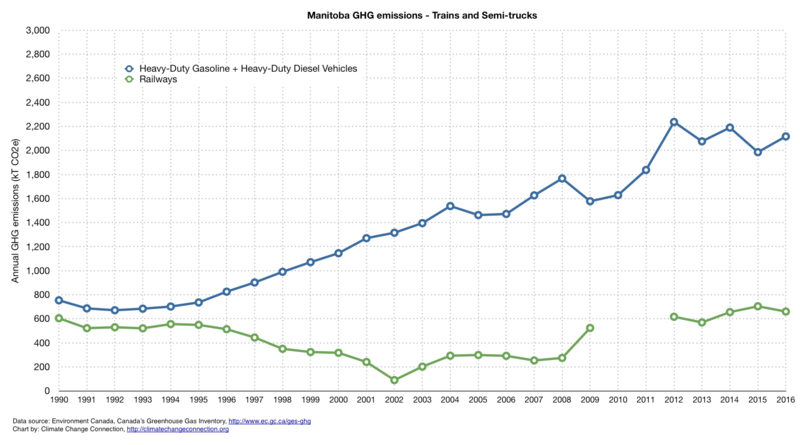 * NOTE: The 2010 and 2011 data for railway emissions have been excluded from the national inventory.